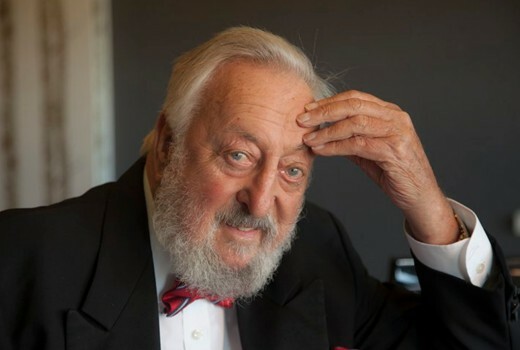 Respected maestro Geoff Harvey, best known for the Midday show, has died, aged 83. Harvey joined the Nine Network in 1961 on Bob Rogers’ Tonight Show. But it was during The Mike Walsh Show that he became most widely known, as part of the on-air troupe, dabbling in comedy. A gifted arranger and advocate of live music, he remained with the show in its new incarnation Midday, under hosts Ray Martin, Derryn Hinch and Kerri-Anne Kennerley. It was a mammoth output of live music, all under Harvey’s baton, day after day. He composed the theme songs for A Current Affair, Today, Sunday and The Sullivans. From 1984 to 2002, he was the musical director of Carols by Candlelight and later was a recipient of the Medal of the Order of Australia for “service to the community as a musician and entertainer, and through support for charitable organisations”. Harvey was most recently touring the live show Senior Moments with Lex Marinos, Max Gilles, Benita Collings and John Wood. Sad to see another legend of this era leaving us. After watching his tribute clip you just want to keep watching – and being entertained by the talent of the time. Sadly when the clip finishes you feel a longing for the family times you had watching much of the content in the clip. I fell down a Wikipedia hole a couple of weeks ago where his name came up. I feel terrible now at being surprised he was still alive. Totally shocked ….Much Respect …. … met Geoff at the 729 Club many, many years ago – a very funny man … It was said that he never wanted to do daytime television, yet that was where he really made his mark as a personality rather than just as a musical director. My friends and I lived just down the road from 729 club…ah the memories. He was incredibly talented and very funny. He had a serious side match as easily by a cheeky side. I believe he also composed the theme song used on Midday with Kerri-Anne. (side note he wasn’t on the short lived Midday with Tracy and David). He was just on Studio 10 with KAK 2 months ago. Tbere’s a clip on youtube. So sad to hear about his loss. Nice tribute David. I had no idea how extensive Geoff’s career was. He was indeed funny, hard working and talented and omni present for such a long period. He certainly made his mark.